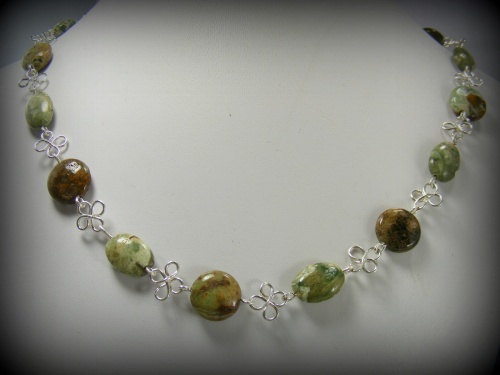 This pretty ryolite gemstone necklace is enhanced with hand made 4 leaf clover look alike pieces. Comes with a complimentary pair of matching earrings. Measures 17".